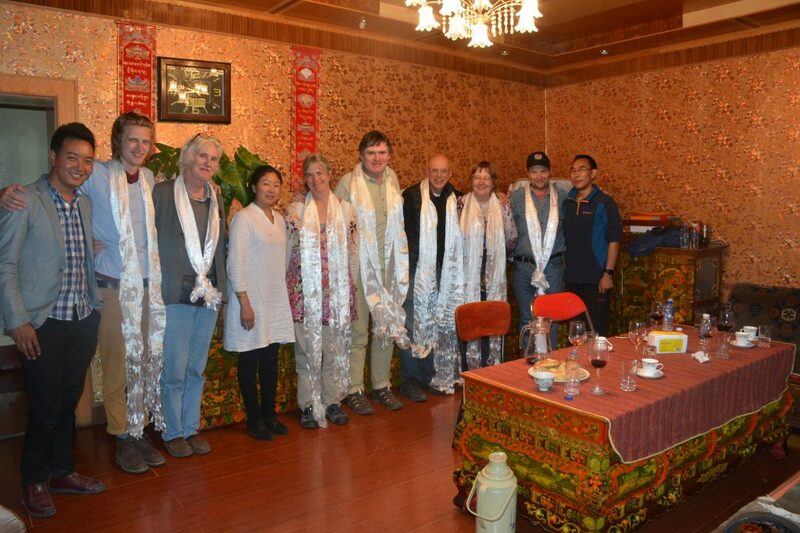 Tibet Songtsan Travel was established in 2012, by two very experienced tour guides, Tenzin and Dawa. Songtsen Travel is a social enterprise, committed to contribute back to society through it social responsibility initiatives. 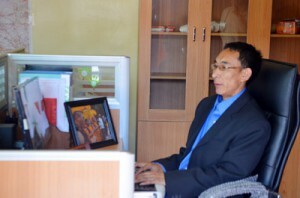 Tenzin: “We believe in the concept of helping people to help themselves. We have been trying our best with our limited funds to provide diversified contributions to the society. Because I did not get a good education it is my wish to support education opportunities for the next generation of Tibetan children. 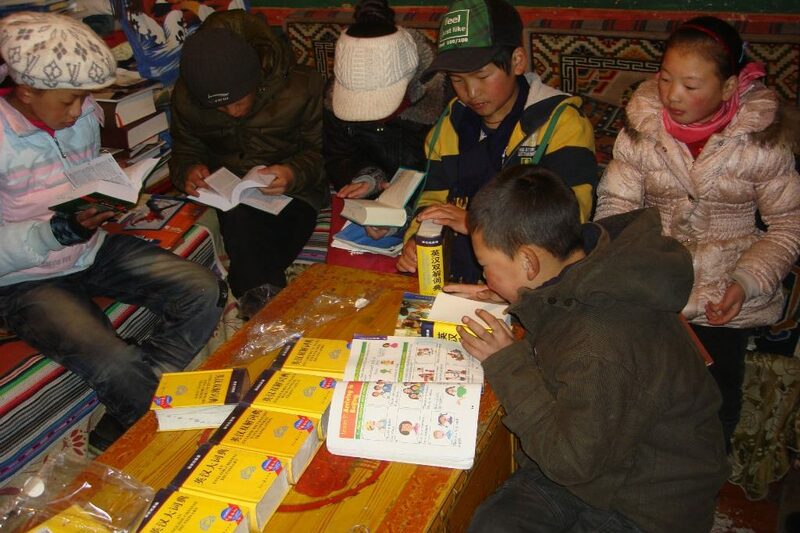 We are supporting a small Tibetan school where we teach all subjects but also Tibetan language and history which are not taught in the government schools. If you would like to visit a school in Tibet, we would love to invite you to the school we support. We also helped already 10 students with their school fees for higher education. My other wish is to help several nunneries in my birthplace. The nunneries are in a poor condition due to a lack of visitors and therefore a lack of donations. We are right now funding and finding funding to build religious statues in one of the nunneries. 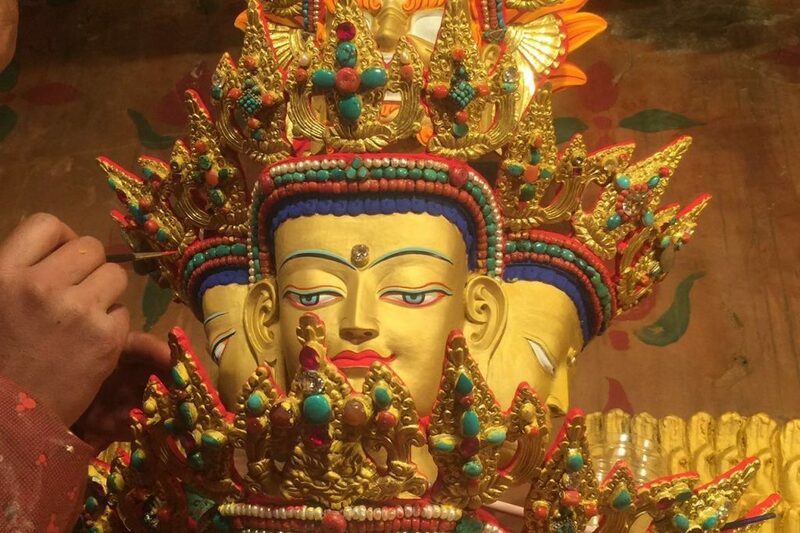 We are currently building a two-story high statue of Avalokhteshvara. When the statue is finished the local people will come to worship and their donations will help improve the living standards of the nuns in a sustainable way. If the business improves and develops in the future, Songtsan Travel wants to provide medical help and micro credit opportunities to people in remote areas. Tenzin: “We do understand the important role nature has in the development of the huge tourism industry in Tibet. As a tour company it is our responsibility to try our best to preserve nature. 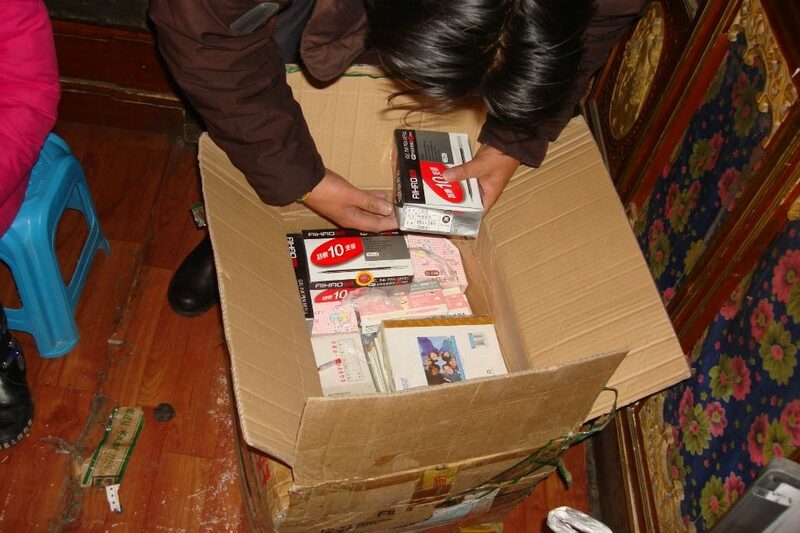 Although the local government and provincial government are doing a wonderful job in protecting Tibet’s natural resources, we are also doing our bit to help lighten the burden. Every year during winter we have a training for our guides and crew members on Eco-Tourism and organize clean up programs. It is important to give a good example to local communities and other tourism operators. Sometimes though our programs are misunderstood. For example during a clean up program at the monastery the monks asked us how much money we would get for the rubbish we collected! I would like to ask some of the high lamas to include in their teachings why it is important to protect nature and not to litter. They teach to sometimes more than 10000 people at a time and if they would say littering is bad the people would listen. For example the government already for many years told that is was bad to buy and wear fur from wild animals like antelopes, tigers and leopards, they even arrested some dealers but nobody listened until an very important high lama said that is was not good to buy and wear fur. After his teaching Tibetans stopped wearing fur and they even burned skins and clothing made of fur in front of the Potala. Therefore I really would like to ask the high lamas in Tibet to give the message to stop littering, but so far I have been too shy to ask…. Tenzin: “Good guides are the most important asset of a travel company. They should be good hosts, good story tellers, explain daily life of Tibetans and be knowledgable in Tibetan culture and religion. They also have to be responsible, look after the health and safety of the clients and the protection of the environment and cultural values. Guide training is so important to make sure the guides understand fully their duty and have passion for their work. We provide staff training in protection of the environment, in particular we promote awareness about protection of wild animals and flora. 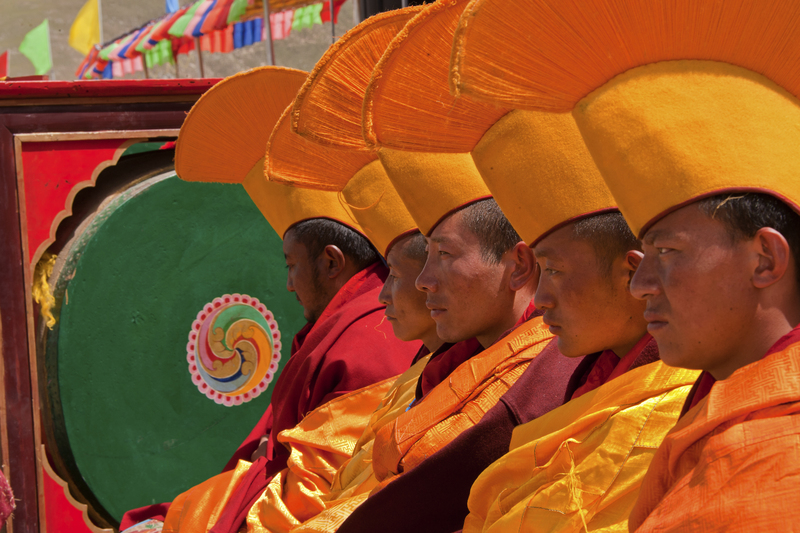 We also train our staff in Tibetan culture and conservation of cultural heritage and First Aid. We took part in several ecotourism workshops, conferences and an exchange program to the USA, organised by Columbia University, and learned how to adopt the ecotourism principles. 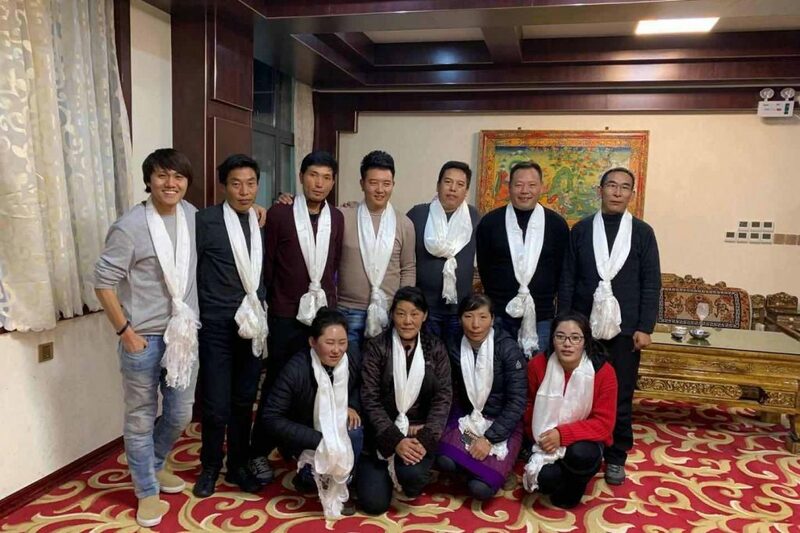 Our guides took part in Tibet Tourism Board Trainings on responsible guiding and First Aid. Tenzin was born in the Gyama valley, the same birthplace as Songtsan Gampo, the first king of Tibet. 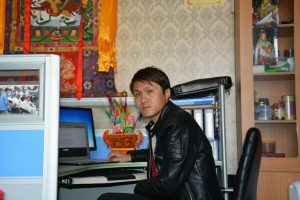 Tenzin learned his English from Gangshun language school in Lhasa and then after he completed the language program, started to work as tour guide with Access Tibet tour. For 8 years his profound knowledge about Tibetan Buddhism and culture won him a good reputation among his clients. in 2011 he decided to register his own company Songtsan together with his partner Dawa. Dawa was also born in the Gyama valley. 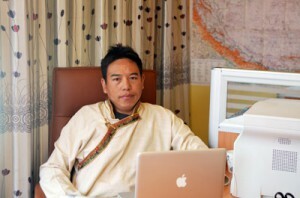 Dawa learned his English iabroad and worked in several travel agencies over the year as a tour guide and traveled in many parts of Tibet until he started his own company with Tenzin. Dawa also joined with Tibet Ecotourism Accreditation project, organised by Columbia university's Modern Tibetan studies Program . My name is Tenzin Yonten, working as sales representative with Songtsan travel. Born and brought up in Lhasa. Under the guidance of Mr. Dawa and Tenzin la who has initially started this native travel company, I take an interest in working with them to open up the beauty of Tibet to travellers from all around the world who want to come and visit Tibet. In this process, I have learnt that the most important thing in this line of profession is to understand everything from our travellers point of view. The time they spend planning, the funds, all the other aspect of arrangements and most importantly their expectations. My purpose is to help them, working with their timelines and coming up with appropriate tour plans and at last make them feel at home in Tibet.